CAA is a duly Federally-incorporated not-for-profit national organization in Canada. Where the present TOU refers to CAA, it may refer to CAA and / or its officers, directors, subcontractors, agents or representatives, depending on the context. In these TOU, a Website visitor or user may be referred to as “you”. Where you have made a purchase as described further in these TOU, you may be referred to as a “Purchaser”. The TOU were last modified on June 17, 2015. CAA reserves the right, at any time and without prior notice, to modify or replace any of the TOU. Any changes to the TOU can be found at this URL. It is your responsibility to check the TOU periodically for changes. Your use of the Website following the posting of any changes to the TOU constitutes acceptance of those changes. You may register to become a member of CAA on the Website (hereinafter “Membership”). Details of the different types of Memberships can be found on the Membership page. Please note that all Memberships run from March 1 through February 28 (or February 29, as applicable) of the following year (hereinafter the “Membership Period”). If you become a member at any time during the Membership Period, the price of your Membership will be the annual fee. CAA reserves the sole right to unilaterally refuse your Membership application for any reason, including but not limited to providing false or misleading information in the online application. During the registration process for Membership, you will be asked to choose a password in order to access certain areas of the Website which are only available to Members. It is your responsibility to create a password of sufficient strength that cannot easily be discovered by third parties. It is strongly suggested that you log out of your account at the end of every session, or not leave a logged-in account unattended for any period of time. CAA will not be held liable for any losses or damages, direct or indirect, pecuniary or non-pecuniary, resulting from your failure to log out at the end of the session, an unattended logged-in session, or a third party using the Website with your account information by accessing your account through any other means, and disclaims any responsibility in this regard. CAA allows Website users to make certain types of purchases via the Website. These include Memberships, registration fees for the CAA Annual Conference and Exhibition (hereinafter “Conference Registration”), and tickets for items related to the CAA Annual Conference and Exhibition (hereinafter “Conference-Related Items”). CAA uses Moneris for processing of secured payments for purchases made via a link from the Website with a credit card. The entire purchase process is managed by Moneris, at a secured web page owned and operated by Moneris. The purchase process is governed by the Terms and Conditions of Moneris, which we encourage you to read. CAA also accepts cheques mailed to CAA as payment for purchases. Your purchase of a Membership will recur automatically at the end of every Membership Period, if you have left this option checked. If you do not wish to have your payment recur, please uncheck this box during the Membership purchase process. CAA and Moneris are unaffiliated companies and CAA has no influence on the operations of Moneris, and CAA shall in no way be held responsible for any losses or damages, direct or indirect, pecuniary or otherwise, resulting from any error or failure on the part of Moneris. Furthermore, CAA shall in no way be held responsible for any losses or damages, direct or indirect, pecuniary or otherwise, resulting from any error or failure on the part of Canada Post or other mail carrier or courier for cheques that are lost in transit to CAA. Pricing of the various types of Membership can be found on the Membership page. Pricing of Conference Registrations and Conference-Related Items and what they include can be found on the Conference page. All prices are firm and in Canadian dollars that may be converted to other currencies by Moneris at the time of payment processing, depending on your country of origin and / or credit card account agreement. Prices listed do not include taxes, which shall be added at the time of payment processing, and which may vary depending on your province of residence or location of the Conference. Purchases made by Purchasers outside of Canada are tax-exempt, but may be subject to duties, or national or local taxes in your jurisdiction. You acknowledge that you are solely responsible for any of these additional charges. All payments made for Memberships are non-refundable. If you have any problems or issues with your membership purchase or believe you made a purchase in error, please contact us at contact@canadianaudiology.ca and we will attempt to resolve the situation. Payments made for Conference Registrations and Conference-Related Items are refundable up to September 1 of the year of the CAA Annual Conference and Exhibition or other annual domestic national conference, after which they are non-refundable. 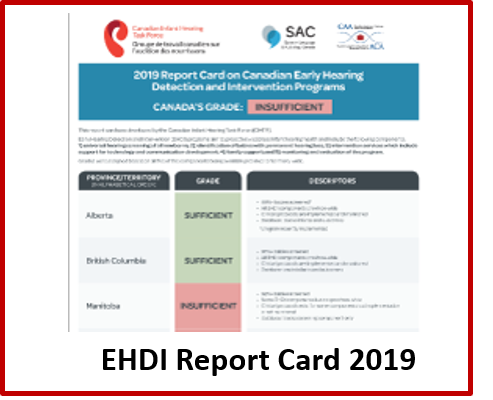 If you require a refund for one of these purchases in the permitted time frame, please contact us at conference@canadianaudiology.ca and include your item(s) purchased, the date of purchase and reason for requesting a refund. Refunds will be issued to the same credit card that was used for the original purchase or by cheque if you paid by cheque. In no way will CAA be held responsible for any damages, direct or indirect, pecuniary or non-pecuniary: (1) for your use of websites or other services that may be linked to from the Website or the information thereon; (2) for any virus, Trojan horse, worm or other similar destructive file received as a result of your use of those websites or services; (3) caused by or in connection with, use of or reliance on any content, or products or services (whether free or for purchase) available on or through any linked-to website or service; or (4) for the actions of the operators of any such website or service. The content, arrangement and layout of the Website, including, but not limited to, the trademarks, photos, logos, images, text (in the form of plain text, HTML, or PDFs) and computer code are proprietary to CAA, either owned or under license, and may not be copied, imitated, reproduced, displayed, distributed, transmitted, decompiled or otherwise used without the express permission of CAA, or as permitted by the functionality of the Website. Any unauthorized use of the content, arrangement or layout of the Website, computer code, images, logos or trademarks found in the Website or any derivative works thereof may violate civil or criminal laws, including but not limited to intellectual property laws, and CAA may take action accordingly. From time to time, the Website may be unavailable for brief periods of time for maintenance and / or modifications to the Website. While we will endeavour to make this unavailability as brief as possible, CAA shall not be held liable for any damages, pecuniary or non-pecuniary, resulting from the interruption of the normal functioning of the Website, and disclaims any responsibility thereto. You agree that CAA, in their sole discretion, with or without cause, has the right (but not the obligation) to block your IP address, or otherwise terminate your access to or use of the Website (or any part thereof), immediately and without notice, for any reason, including, without limitation, if CAA believes that you have acted inconsistently with the letter or spirit of the TOU. CAA may also, in their sole discretion and at any time, discontinue providing the Website, or any part thereof, with or without notice. Furthermore, you agree that the CAA shall not be liable to you or any third party for any damages, pecuniary or non-pecuniary, resulting from termination of your access to the Website, or from CAA’s termination of the Website or any part thereof. You expressly understand and agree that your use of the Website, the information thereon (whether provided by CAA or third parties), or any activity arising from the use of the Website or the information thereon is at your sole risk. The Website, or any third party materials, are provided on an “as is” and “as available” basis, and you will be solely responsible for any damage to your computer system or loss of data that results from the download, stream or access of any material obtained through the use of the Website or any other functionalities of the Website, or damages (financial or otherwise) resulting from your use of the Website, the information thereon, or any activity arising from the use of the Website or the information thereon. The information provided through the Website written by CAA staff, freelance writers or other subcontractors (whether paid or voluntary) is known to be as accurate as possible at the time of writing, and every effort has been made to ensure that the information from the Website is as accurate and up-to-date as possible. However, certain information may change, and errors or omissions may occur, and CAA shall not be responsible for any loss or damage, financial or otherwise, resulting from changes or errors in information, or any omission, on the Website. CAA expressly disclaims all warranties of any kind, whether express or implied, including, but not limited to, warranties of title and non-infringement, warranties that the Website and any third party materials will be uninterrupted, error-free, accurate, reliable and free from virus and other harmful components, and the implied warranties of merchantability and fitness for a particular purpose. CAA, and its directors, agents, suppliers, partners and subcontractors (including but not limited to freelance writers, whether paid or voluntary) do not warrant that: (i) the Website will be secure or available at any particular time or location; (ii) any defects or errors or omissions will be corrected; (iii) any content or software available at or through the Website is free of viruses or other harmful components; or (iv) the results of using the Website will meet your requirements. Notwithstanding the generality of the foregoing disclaimer, CAA disclaims any and all responsibility regarding the job postings listed on the Website, which are provided by third party organizations. While CAA reviews the contents of these job postings prior to posting them on the Website, CAA disclaims any and all warranties of any kind regarding the position, the third party organization making the job offer, or your ability to enter into an employment contract or other agreement with the third party organization. 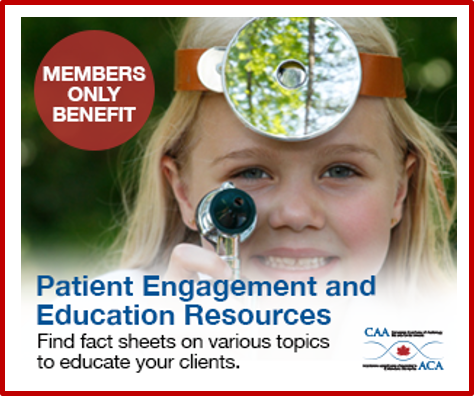 CAA includes information of a medical nature. Notwithstanding the generality of the disclaimers of the previous section, no information, services or materials on the site shall be construed as medical advice or care. You must consult licensed health care practitioner, such as an audiologist, a physician, medical doctor or other regulated health care provider before using or relying on any information from the Website. Use of products or services of a medical nature mentioned on the Website or linked therefrom must be done only after consulting a licensed health care practitioner, audiologist, medical doctor or other regulated health care professional. Certain procedures, practices and / or products mentioned on the Website or linked therefrom may be undergoing research and their mention on the Website or linked therefrom should not be construed as approval for use. The health care provider you consult directly must confirm the status of the procedures, practices and / or products described on the Website or linked therefrom. Given that the Website includes information of a medical nature, the Website should only be used by individuals aged 18 and over, or the age of majority in your jurisdiction. You expressly understand and agree that CAA shall not be liable for any direct, indirect, incidental, special, consequential, punitive or exemplary damages, including, but not limited to, damages for loss of profits, goodwill, use, data or other intangible losses, in contract, tort, strict liability, negligence, general civil liability or any other cause of action under legal or equitable theory, relating to the Website, the information on the Website, the use of the Website, activities arising from your use of the Website, or the third party materials on the Website. This limitation of liability applies, without limitation, to any damages or injury caused by any error, omission or other failure of performance by CAA, their affiliates, business partners, freelance writers or other subcontractors (whether paid or voluntary); any interruption, defect or delay in operation or transmission, including communication line failure; any computer virus; and any theft, destruction or alteration of, or unauthorized access to or use of, any electronic records. Notwithstanding any other term of the TOU or any act or failure to act by CAA or its agents or subcontractors (including but not limited to freelance writers, whether paid or voluntary), you agree to indemnify, defend and hold harmless CAA and their officers, directors, owners, partners, partnerships, principals, affiliates and other related entities, servants, agents, representatives, successors, assigns and subcontractors where applicable (including but not limited to freelance writers, whether paid or voluntary) from and against any damages, liabilities, costs and expenses (including attorneys’ fees), claims or demands, arising out of (i) your use of or connection to the Website or the information thereon; (ii) your participation in any activities arising from the Website or the information thereon; (iii) your violation of, or failure to perform your obligations under the TOU; or (iv) your violation of any rights of a third party. Use of the Website shall be governed by and construed in accordance with the laws of the Province of Ontario, Canada, in force at the time without regard to conflict of law provisions. You agree that any legal action or proceeding between you and CAA shall be brought exclusively in the courts located in the Greater Toronto Area, Ontario, Canada. CAA shall not be liable for any failure to perform its obligations under the present TOU where such failure results from any cause beyond CAA’s reasonable control, including, but not limited to, mechanical, electronic or communications failure or degradation. In the event of the termination of the present TOU (as described in the TOU or for any other reason), all provisions of the TOU which by their nature should survive termination, shall survive termination, including without limitation, intellectual property provisions, disclaimers, indemnity and limitations of liability.